Winning private college scholarships can certainly help make college more affordable, but you need to know the realities of competing for this college cash. 1. Private scholarships aren’t the biggest source of college cash. I suspect most families believe that private scholarships, which students can earn from organizations like the Rotary Club or by creating a clever prom outfit out of duct tape, is where most of the money for college is hiding. The biggest sources of scholarships and grants, however, are the federal government and the colleges themselves. 2. Full-ride scholarships are extremely rare. While many parents dream that their children will receive full-ride scholarships, they should definitely not count on it. There are less than 250 private scholarships that provide enough money to pay for all college costs, according to Mark Kantrowitz, the founder of FinAid.org and now the publisher of Edvisors. Among full-time college students, a mere .3 percent receive a full ride to college from any sources. 3. 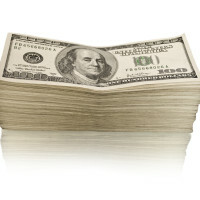 Scholarships can reduce your financial aid award. If a teen wins a private scholarship, the college could shrink his or her financial aid package by the amount of the award. So if a child wins a $3,000 scholarship, the college could cut the aid package by $3,000. Why is a student penalized for winning a private scholarship? Federal rules require that a college consider outside scholarships when calculating a financial aid package. Ideally you’d want the college to reduce the loan portion of a student’s financial aid award and not grant money. Some reduce both. You need to ask schools about their policies. 4. 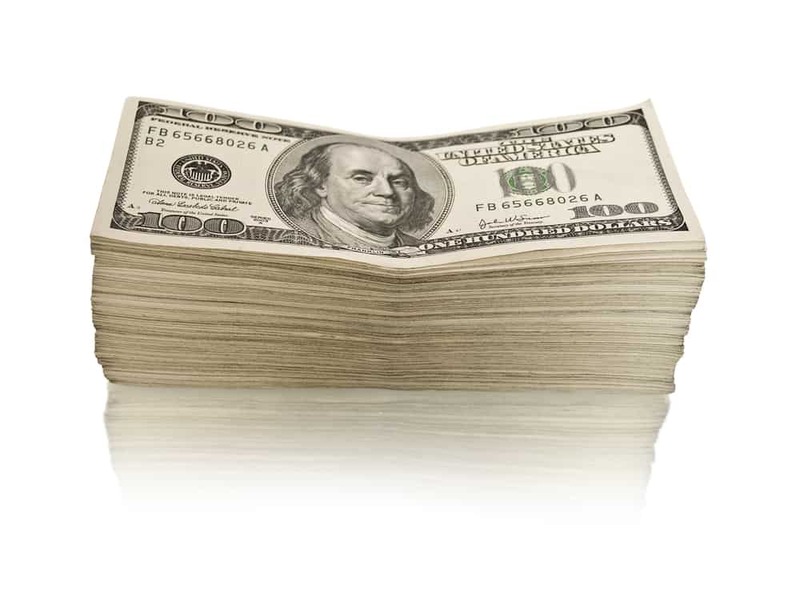 White students are more likely to win private scholarships. 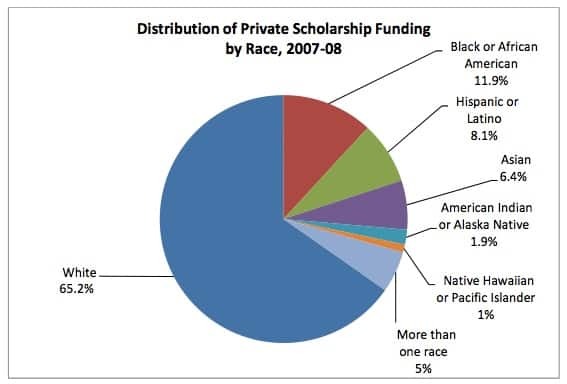 In research, Kantrowitz concluded that the majority of private scholarships go to white students. Kantrowitz suggested that the lopsided scholarship awards is not due to discrimination. You can learn more about this reality by reading an old CBS MoneyWatch post of mine: Do You Enjoy a Scholarship Advantage? 5. Some majors are more lucrative than others. Students who major in a STEM field (Science, Technology, Engineering, and Math) are more likely to win a scholarship, Kantrowitz says. In one survey, 23.2 percent of math/statistics majors and 17.6 percent of engineering students earned a scholarship, while only 9.5 percent of business majors won one. 6. You should apply to less popular scholarships. Many students, don’t want to apply for scholarships that are worth less than $1,000, but these scholarships can be easier to win. Students also tend to dismiss competitions requiring the submission of art, poetry, or writing. 7. You’ll have better luck with local scholarships. There can be less competition for local scholarships. Students should ask their guidance counselors about local scholarships and they should also check out the jobs and career section of their local library. They need to do the footwork because some local scholarship sponsors don’t want their listings in the national scholarship databases. 8. Do some volunteer work to increase your chances. Many scholarship providers include a requirement that recipients be engaged in volunteer activities. Sponsors would rather see a student who sticks with one volunteer activity for a long time than one who hops around to various charities. 9. Read up on private scholarships. If you’d like to learn more about private scholarships, a handy resource is a slim book, Secrets to Winning a Scholarship, that Mark Kantrowitz wrote. Check it out. Lynn O’Shaughnessy is the author of The College Solution and a financial workbook, Shrinking the Cost of College. Helpful information and an important topic for students and their families. Who isn’t looking for a scholarship to help with college costs? Students can also have better luck with scholarships that require more work. Those with higher word counts (1,000+) or multiple essays tend to get fewer applicants, so the chances of winning the award increases dramatically. In general less work=more applicants! Thanks Tamara. I think it’s safe to say that scholarship hurdles will discourage a lot of students from applying. I really like the advice of looking for local scholarships, and in general looking for less-competitive scholarships. You are technically correct, but the facts don’t back up your implication that Whites receive a disproportionate amount of scholarship money … in fact, they receive LESS than their proportional share.